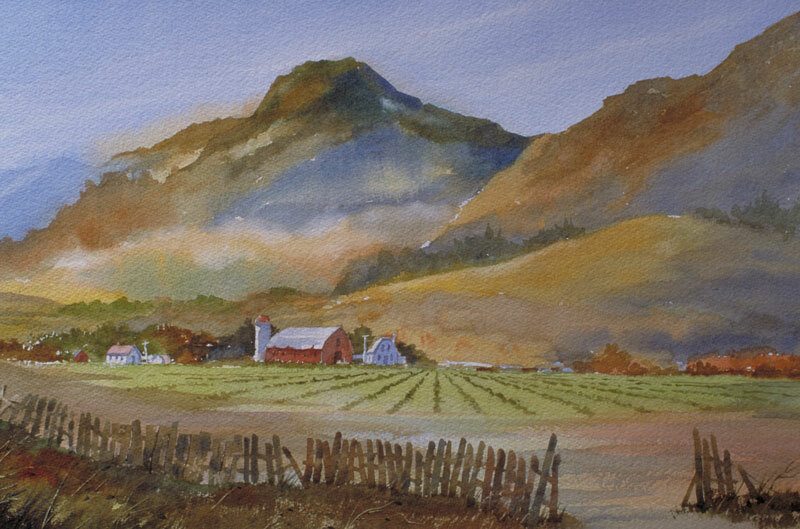 Thomas Freeman Original Watercolor Painting: "God's Country"
This is beautiful, serene country. Sometimes beauty is in the details, like this fence. It was an interesting one to paint - the objective is to give it a lot of natural variety. Some areas I applied a broad swath of paint and used a credit card corner to pull out color.